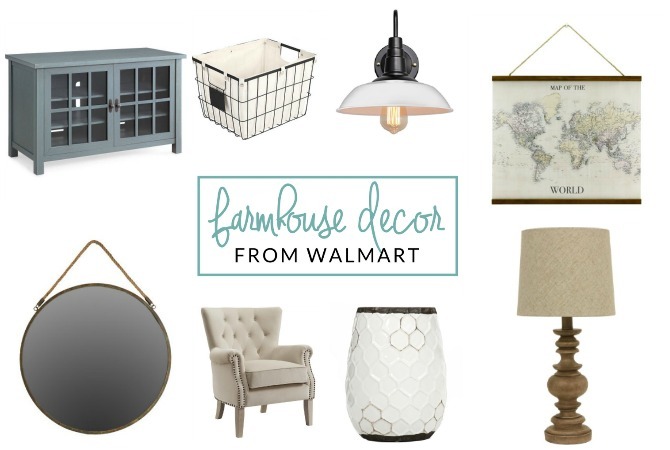 Have you shopped at Walmart for home decor lately? You should! 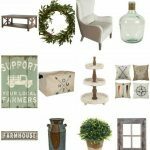 Check out my picks for Walmart farmhouse decor, and prepare to be surprised. 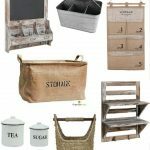 You will love these farmhouse style picks, from wire baskets, to lighting, to furniture, area rugs, and more. It’s confession time: I used to turn up my nose at Walmart. I mean, it’s great for stocking up on paper towels and cereal at a great price. But I wouldn’t even imagine shopping in the home or apparel sections. Well, it’s time for me to eat crow in this one. If you haven’t taken a stroll around Walmart’s home section lately, may I suggest that you give it a try? 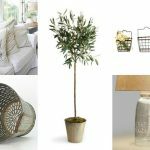 I recently gathered my favorite home decor picks – all from Walmart – and I think you will be pleasantly surprised!